Is Hololens able to receive UDP multicast packets by default? Or is there a setting which makes that happen? I have a Unity application which uses a udp multicast message passing system. The udp multicast message passing system is built into a .NET dll. The dll is linked to the application and it works fine on a desktop. However when I deploy this application on Hololens, I don't receive any error, but I do not receive any messages. I am wondering if this is because the Hololens drops udp multicast packets or if it is due to the dll not being built against UWP. I think that you can. If I remember right, I used UDP multicasting as the basis of how devices could find each other a network for a shared holograms type solution. I wrote it up here although I can't promise that it's any good or suitable for any particular purpose nor that it hasn't got a little out of date with respect to current SDK versions. In my case, I shared some source code which I then compiled both for .NET 3.5 and for the UWP and I ended up building that into a console app, a 2D XAML based app and a 3D Unity based app and sending messages back and forth. You might want to check your application manifest to ensure that it has the right capabilities - e.g. I suspect "Private Networks" is needed to allow for multicasting around your local network. I noticed that I wrote down that I did this when writing the 2nd post in that series. I am able to send and receive UDP multicasts to and from Hololens. However, the connection performance is quite dismal. The round-trip time for every sent package increases over time from a few milliseconds to tens of seconds and there is a considerable number of message losses. The very same code, works perfectly fine on other platforms (Desktop Windows 10, Mac, IOS). I would appreciate any input that would help me explain this problem which only happens with Hololens. 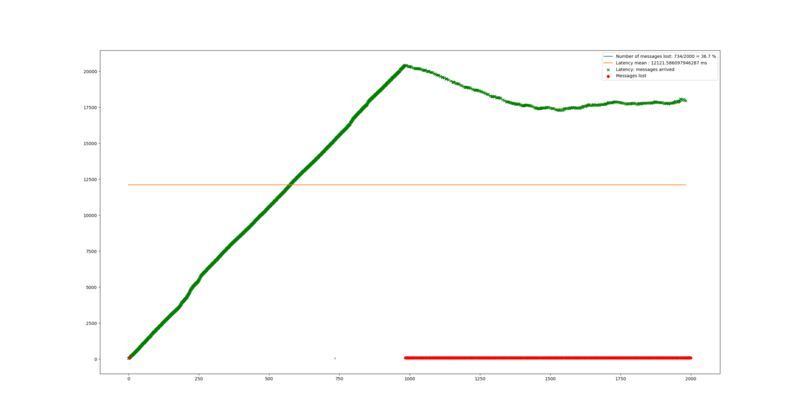 Attached is a graph demonstrating the increasing round-trip time and message losses of the 2000 messages being sent.